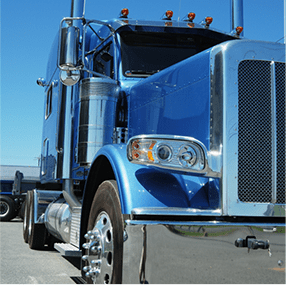 Let HDL select the best local truck driving jobs for you. Our drivers stay with HDL for an average of 8 years because, above all else, we value honesty, safety and respect. Drive locally — home every night. 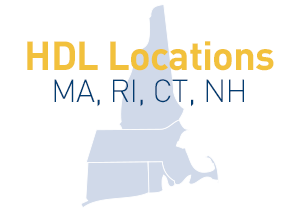 Our clients are located throughout Massachusetts, Connecticut, New Hampshire, and Rhode Island. We will only dispatch you close to home, and you can be home every night. Flexibility and choice are yours. We listen to you and place you with a company who offers the job that you desire. Whether you’re looking for full-time with overtime, or a part time, temporary driver position; we listen and respond. And if you change your mind; we have many opportunities from which you can choose. We’ve been screening companies in New England since we began in 1984 and we’ve accumulated a large following of the best places for our truck drivers to work. Your safety is a top priority. We place our truck drivers ONLY in safe environments. We screen our companies for their lifting requirements as well as safe equipment, DOT compliance and their treatment of our drivers. We ask for ongoing feedback from our drivers about their work to insure that our drivers are happy and that their work environment meets our safety standards. The accident and injury rate of our truck drivers is significantly below the national average. Our drivers come home safely every night. Tufts Health Insurance – HDL contributes 50% for a single plan and 33% for family health insurance plans. HDL contributes 60% for a single plan after one (1) year of employment. HDL full time (30 hrs/wk) employees are eligible for health insurance. We offer our drivers Safety and Attendance Bonuses. Our drivers are covered with $15,000 of company paid life insurance. Our drivers earn six (6) paid holidays per calendar year, eligibility after full-time (30hrs/week) or after 3 months has been an HDL full-time (30 hrs/week) employee for three (3) months. Drivers earn one (1) week vacation after the first year of employment, two (2) weeks after three (3) years of employment and three (3) weeks after five (5) years of employment. Vacation time is based on the average amount of hours worked per week, within 52 weeks. Drivers accrue one (1) hour of sick leave for every thirty (30) hours worked, up to a maximum of forty (40) hours of sick leave per year. Drivers can sign up for dental Insurance through MetLife’s “Preferred Dentist Program”. Drivers are eligable to sign up for MetLife’s “Vision Preferred Provider Organization Plan”. Our drivers can purchase short term disability insurance is available through MetLife. Drivers can enroll in long term disability insurance through MetLife. Drivers can additional life insurance through MetLife. Our drivers choose from part-time and full-time opportunities; working with companies who are pre-screened by HDL. HDL will place you with companies who have safe equipment, safe work and treat our drivers as professionals. The HDL team will find you the right home while you remain supported by our team. We want drivers with a good attitude and proven track record. Highway Driver Leasing (HDL) is constantly on the lookout for drivers who have a minimum of 2 years of recent, verifiable CDL A or B experience, good references, a clean driving record and a good attitude. If you want to be well compensated for your hard work—please let us know what we can do for you. Start by applying online or fill out the form for a paper application. Both options are below. Click the link below, call 800-332-6620 or fill in the form below to request a paper application. We assure you, HDL will not inundate you with emails. All information you provide to HDL is kept private. We NEVER share or rent our contact lists. 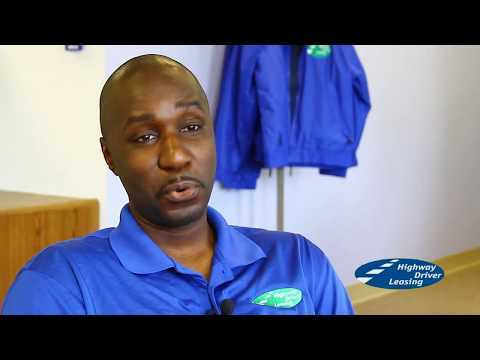 Learn more about our drivers by viewing our video.